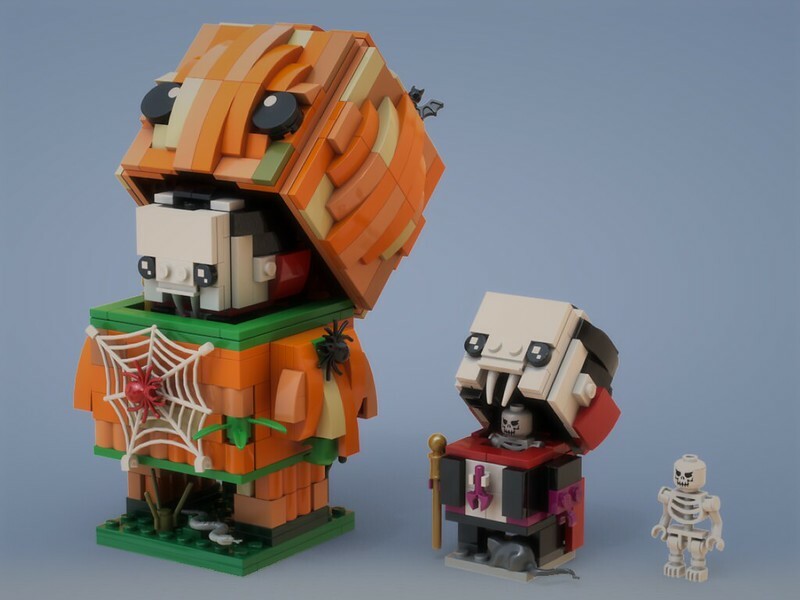 Those are absolutely amazing brickheadz! 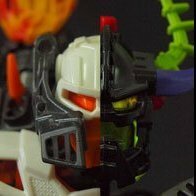 A feature to put a brickhead into a larger brickhead is something new to me. It's pretty interesting! To be honest, from the start when brickheadz was revealed, I was never appealed by it. As all it had to offer was licensed figures or based on characters and I normally prefer themes that are original to LEGO, so there's that. It was only when Go-Brick-Me and the seasonal ones was revealed, they start to look appealing in my eyes. The licensed figures is still not and probably never will be my cup of tea though. 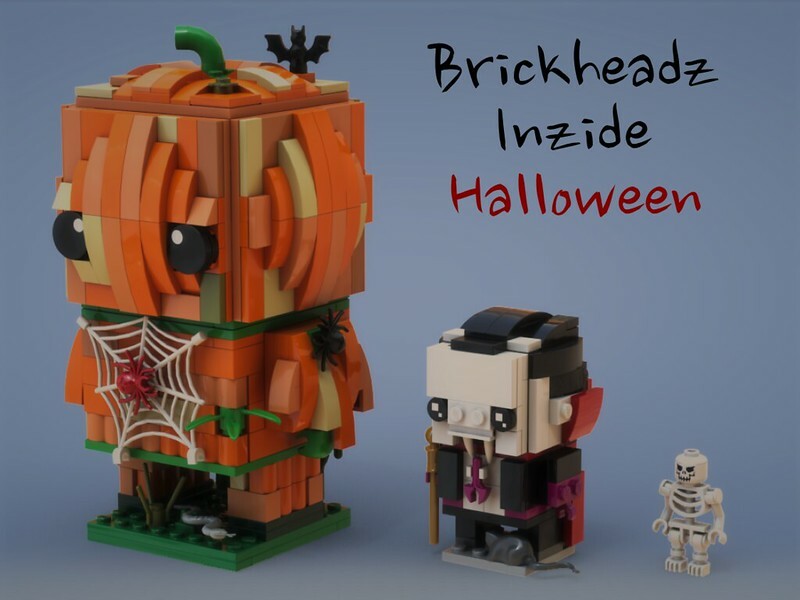 Your MOCs just showed me how amazing Brickheadz could be. Thank you for posting this! This is a great idea and nicely executed! Great idea and well done. 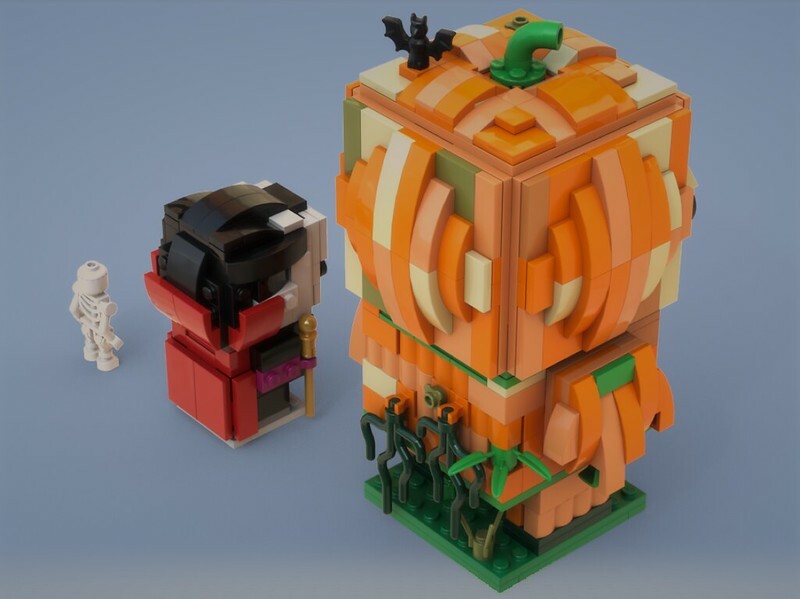 The dracula and the XXL pumpkin brickheadz look perfect. I'm not a big fan of the brickheadz, but these two nicely build. I too prefer imaginary characters to licensed. The amount of detail on the pumpkin is spot on to create both the curved shape and colors. 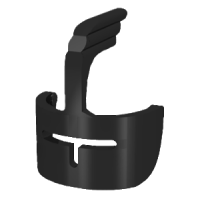 The accessories aka. spider and spider web are well thought of too. Nice work, henjansson! I love your Dracula brickhead, particularly the purple accents on his clothing and the tall collar around the neck. This is really nice. I love the way these Brickheadz open up to reveal something hidden inside. Great idea, and it worked out beautifully.